With 99.9% of the districts counted the Pirates have 7.1 percent of the votes, beating several established parties. This means that the Pirate Party will get at least one, but most likely two of the 18 (+2) available seats Sweden has at the European Parliament. 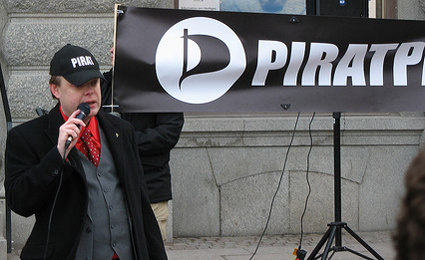 Founded in 2006, the Pirate Party is a political party in Sweden led by Rick Falkvinge. It’s goals are primarily restricted to the reform of copyright laws and patent laws, though it’s Wiki page list the Pirate Party’s political ideology as “Freedom of Information, Privacy, Anarchism.” It is estimated that the Pirate Party got 200,000 votes, an extremely significant increase over the 2006 elections, where the party managed to get about 34,000 votes. Together, we have today changed the landscape of European politics. No matter how this night ends, we have changed it. This feels wonderful. The citizens have understood it’s time to make a difference. The older politicians have taken apart young peoples’ lifestyle, bit by bit. We do not accept that the authorities’ mass-surveillance. The Pirate Bay “spectrial” has ended in a guilty verdict, prison sentences for the defendants, and a shared 30 million kronor ($3.5 million) fine. According to the Swedish district court, the operators of the site were guilty of assisting copyright infringement, even though The Pirate Bay hosted none of the files in question and even though other search engines like Google also provide direct access to illegal .torrent files. 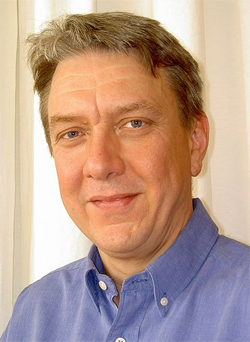 Christian Engström, Vice Chairman of the Swedish Pirate Party, is the top candidate for one of the party’s seats in the European Parliament. When he arrived at the the celebration in Stockholm yesterday he said, “It’s great fun to be a pirate right now.” I’d have to agree with that. I wonder if they’ll make any dent in copyright and patent laws. I guess we’ll just have to wait to find out.